From iconic sites to stunning beaches that are sure to leave you breathless, Sydney offers a bucket-list worthy vacation. In addition to being a feast for the eyes, The Harbour City is home to unforgettable cuisine, shopping, zoos and museums. Dive into endless adventures awaiting in the “Land Down Under,” and streamline your travels with our Australia Vacation Packages. A must-see for vacationers, the Sydney Harbour showcases the beauty of nature blending with man-made wonders. Catch a memorable show at the Sydney Opera House, featuring over 40 events a week, and stop by at night to see the architectural icon lit up. You can also witness spectacular views of the venue while climbing the Sydney Harbour Bridge. Towering at 134 meters high, the renowned bridge is open for climbers ages 10 and above. Gaze upon the dazzling Sydney skyline and lush Harbour Islands. For a more up-close-and-personal view, visit Circular Quay to take a ferry, water taxi or even a kayak onto the pristine waters. Sydney offers some of the world’s most beautiful beaches. 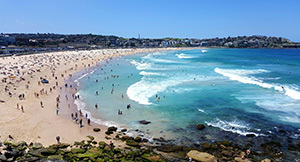 Manly Beach and Bondi Beach are perhaps the most popular destinations due to the white sands and crystal blue waters, perfect for swimming, snorkeling and surfing. To make the most of your beach vacation, walk from Bondi Beach to the pristine Coogee Beach. This 6-kilometer track allows you to experience the beaches of Tamarama, Bronte and Clovelly all in one trip. Fill your stay with lively entertainment, shopping and dining in Sydney. Darling Harbour is a great hot spot to explore. Not only is it on the water, it is famous for its highly rated restaurants, bars and nightlife. Elevate your adventures when you hop on the Star of the Show Ferris Wheel, featuring unrivaled views of the city. The Rocks is another hip neighborhood offering outdoor markets, eclectic boutiques, galleries and some of the best pubs in Sydney. 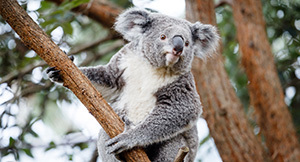 From kangaroos to koalas, Australia boasts an abundance of animal species unique to the rest of the world. Discover a plethora of furry friends at the famous Taronga Zoo, where you can check out the Lemur Forest, a variety of animal shows and the Wild Ropes course. For underwater creatures, Sea Life Sydney Aquarium gives you a front-row seat to the life of colorful fish, mesmerizing sharks, penguins and more. 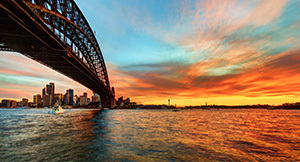 Before your time in Sydney is complete, discover the rich culture surrounding you. The Australian National Maritime Museum educates viewers on the intriguing aquatic history of Australia, while the Australian Museum takes visitors on a journey through impactful historical events over time. 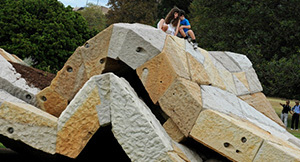 Round out your time at the Royal Botanic Garden Sydney. Opened to the public in 1816, the gorgeous garden spans over 70 acres and is one of the most-visited attractions in Sydney. Sydney was the first British colony established in Australia during 1788. The Sydney Fish Market is the largest fish market in the Southern Hemisphere. 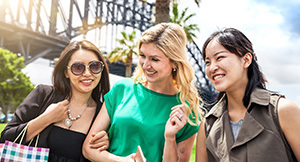 While English is the main language spoken in Sydney, Mandarin, Arabic, Cantonese, Vietnamese and Italian are also spoken in the diverse city. Sydney’s latitude and longitude are 33.8688° S, 151.2093° E.
Sydney’s population makes up about 20 percent of Australia’s total population. The city of Sydney enjoys a relatively warm and mild climate. From December to February, citizens and travelers can delight in a blissful summer of about 18° to 25°C (66° to 78°F). Humidity can reach up to 65 percent, making it the perfect time to hit the beach. Sydney’s coldest months are from June to August, featuring an average temperature of 13°C (55°F).